Istanbul, is the largest city in Turkey, constituting the country’s economic, cultural, and historical heart. With a population of 17 million, the city forms one of the largest urban agglomerations in Europe and is among the largest cities in the world by population within city limits. Istanbul’s vast area of 5,343 square kilometers is coterminous with Istanbul Province, of which the city is the administrative capital. 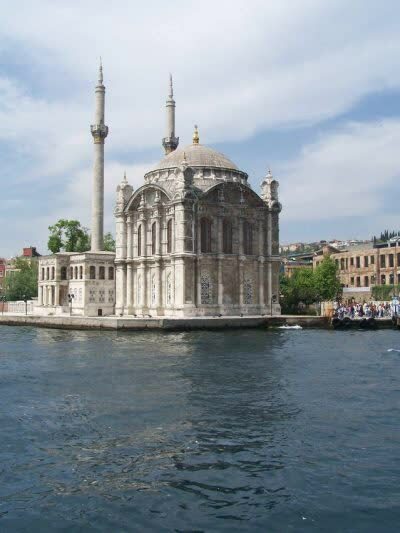 Istanbul is a transcontinental city, straddling the Bosphorus – one of the world’s busiest waterways—in northwestern Turkey, between the Sea of Marmara and the Black Sea. Its commercial and historical center lies in Europe, while a third of its population lives in Asia. Founded on the Sarayburnu promontory around 660 BC as Byzantium, the city now known as Istanbul developed to become one of the most significant cities in history. For nearly sixteen centuries following its reestablishment as Constantinople in 330 AD, it served as the capital of four empires: the Roman Empire (330–395), the Byzantine Empire (395–1204 and 1261–1453), the Latin Empire (1204–1261), and the Ottoman Empire (1453–1922). It was instrumental in the advancement of Christianity during Roman and Byzantine times, before the Ottomans conquered the city in 1453 and transformed it into an Islamic stronghold and the seat of the last caliphate. Although the Republic of Turkey established its capital in Ankara, palaces and imperial mosques still line Istanbul’s hills as visible reminders of the city’s previous central role. Istanbul’s strategic position along the historic Silk Road, rail networks to Europe and the Middle East, and the only sea route between the Black Sea and the Mediterranean have helped foster an eclectic populace, although less so since the establishment of the Republic in 1923. Overlooked for the new capital during the interwar period, the city has since regained much of its prominence. The population of the city has increased tenfold since the 1950s, as migrants from across Anatolia have flocked to the metropolis and city limits have expanded to accommodate them. Arts festivals were established at the end of the 20th century, while infrastructure improvements have produced a complex transportation network. Seven million foreign visitors arrived in Istanbul in 2010, when it was named a European Capital of Culture, making the city the world’s tenth-most-popular tourist destination. The city’s biggest draw remains its historic center, partially listed as a UNESCO World Heritage Site, but its cultural and entertainment hub can be found across the city’s natural harbor, the Golden Horn, in the Beyoğlu district. Considered a global city, Istanbul hosts the headquarters of many Turkish companies and media outlets and accounts for more than a quarter of the country’s gross domestic product. Hoping to capitalize on its revitalization and rapid expansion, Istanbul is currently bidding for the 2020 Summer Olympics. The first known name of the city is Byzantium, originating from the name of the king, Byzas, whose colony founded it around 660 BC. After Constantine the Great made it the new eastern capital of the Roman Empire in 330 AD, the city became widely known as Constantinopolis (Constantinople), which means the “City of Constantine”. He also attempted to promote the name Nea Roma (“New Rome”), but this did not attain widespread usage. Constantinople remained the most common name for the city in the West until the establishment of the Turkish Republic, and Kostantiniyye was the primary name used by the Ottomans during their rule. Nevertheless, the use of Constantinople to refer to the city during the Ottoman period (from the mid-15th century) is now considered politically incorrect, even if not historically inaccurate, by Turks. Night life in Istanbul is huge. There are many establishments — some aged over thirty years old and some very down to date. Being such a big city with several city centers, Istanbulhas more than one entertainment destination. On the Asian side Caddebostan “barlar sokagı” — a street of pubs on Iskele Street — and Kadife Street, both in the Kadıköy district, have a lot to offer. On the European side, night clubs aren’t concentrated in one location. There are numerous venues spread out over Nisantası in the Sisli district, Ortaköy in the Besiktas district or Taksim, Istiklal Street and Nevizade in the Beyoğlu district, Bebek disctrict.